Come see your beautiful home today! This bright and airy two-story home is a quick and turn-key move in. The open floor plan and vaulted ceilings will take your breath away. The master suite has a large en suite bathroom and walk-in closet. There are upgraded tile floors, new interior paint, carpet, and other wow finishing touches. 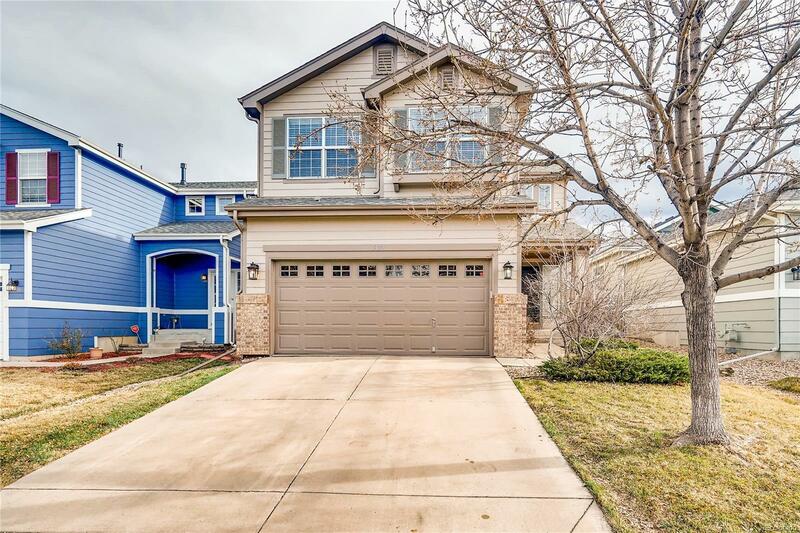 This highly sought after neighborhood is minutes away from Orchard Town Center, the new premium outlets in Thornton, grocery stores, restaurants, and the local library. This home is also an easy drive to downtown Denver and DIA. Don't miss out on this gem!